Watkin Davies will be providing financial sponsorship as well as insurance and risk-management services to help the Football Association of Wales (FAW) Trust support grassroots football in Wales. The long-term partnership backs the FAW Trust’s aims to raise standards and grow the game in Wales by providing a safe environment for young players to enjoy football and improve their skills. 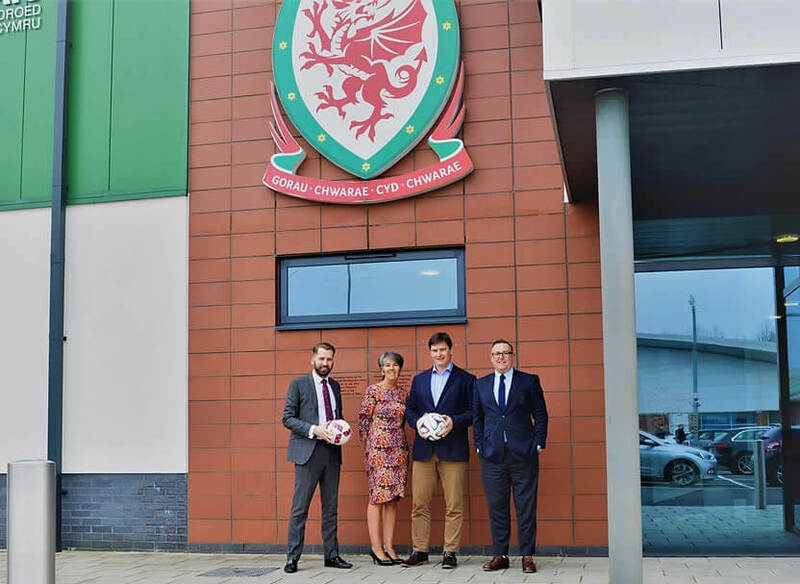 "The FAW Trust are delighted to enter into a long-term partnership with a leading Welsh company such as Watkin Davies as our insurance partners and grassroots football supporters." "Our aim is to grow the game and raise standards through providing a safe environment for children to play football; an environment which benefits children, and their communities’, health, wellbeing, involvement and self-esteem across Wales. This vision and commitment is shared by the team at Watkin Davies"
Watkin Davies’ head office is based in Whitchurch, Cardiff, where Welsh international, Gareth Bale, grew up. They have been providing insurance services to businesses in Wales and beyond for almost 40 years and the team are very pleased to be involved in the future of Welsh Football. "We are pleased that two Welsh organisations have been able to come together in partnership to support the future of Welsh football. We feel there is a natural synergy between us as a community broker and the FAW Trust as a supporter of community football." "This is a significant partnership for Watkin Davies and serves to recognise our capabilities in providing insurance and risk-management services to a large organisation with a diverse remit." "As a Welsh broker and football fan I am delighted on both a personal and professional level that we have signed a partnership deal with this prestigious account. I am looking forward to working with the FAW Trust and affiliated clubs to develop our relationship over the coming years." The FAW Trust aims to encourage more people - male and female - of all ages to play football, whilst identifying and developing talented young players to support the future success of Wales' national teams in all age groups. The Trust also delivers coach education from the world-class training facilities at Dragon Park in Newport. As well as improving the prospects for the Welsh game and Welsh footballers of the future, the Trust endeavours to use the power of football to improve education, training and health in communities throughout Wales. Looking for a review of your insurance cover? Contact us to discuss your requirements.